Saint-Jacques is an engineer, astrophysicist and a family doctor. He has a pilot’s license and speaks five languages: French, English, Russian, Spanish and Japanese. He has a degree in engineering physics, a doctorate in astrophysics and a medical degree. A Russian rocket will send Saint-Jacques into space. The astronaut travelled to Baikonur, Kazakhstan for the launch. Another familiar Canadian astronaut will be helping Saint-Jacques. Canada’s Governor General, Julie Payette, is a former astronaut. Not only will she represent Canada (as its Governor General) but she will be Saint-Jacques’ Casualty Assistance Calls Officer, according to CBC News. Saint-Jacques has been preparing for the mission to the ISS for nearly nine years. He is 48 years old and is married, with three children. CBC News provides this look at Saint-Jacques’ training. 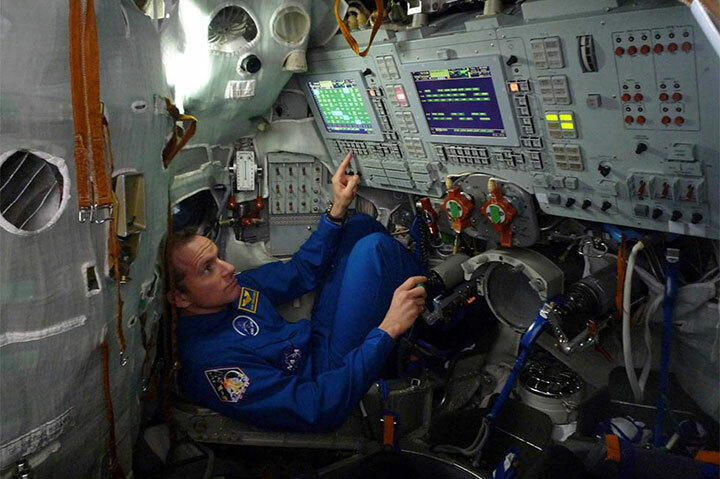 While in space for six months, Saint-Jacques will be conducting science experiments and demonstrating technology. If you could ask him any question about his experiments or his journey in space, what would you ask him and why? The article explains that “Saint-Jacques has been preparing for the mission to the ISS for nearly nine years.” 9 years is a very long time! What do you think he has been doing for 9 years to prepare for this mission? The first sentence of this article includes a semicolon: “The International Space Station (ISS) is a spacecraft that orbits the Earth; it is part laboratory and part home for astronauts.” A semicolon is used to join two sentences together instead of separating them with a period. Why do you think the journalist chose to use a semicolon in this sentence instead of separating it into two sentences?